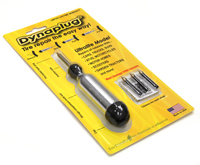 The Dynaplug® Ultralite is designed for all tubeless tire applications but especially suited for two-wheeled vehicles. Machined from billet aircraft 6061 aluminum, it’s robust but still ultra-light at only 2 ounces. It also features a push-on silicone end cap that seals the interior compartment for storing spare repair plugs and other accessories. Engineered for repairing punctures in tubeless tires for cars, trucks, motorcycles, ATVs, scooters, campers, motor homes, RVs and garden tractors with a maximum tire thickness of 1-1/8” and a minimum thickness of 3/16” at the point of the puncture. Easy-to-use, neat and clean. 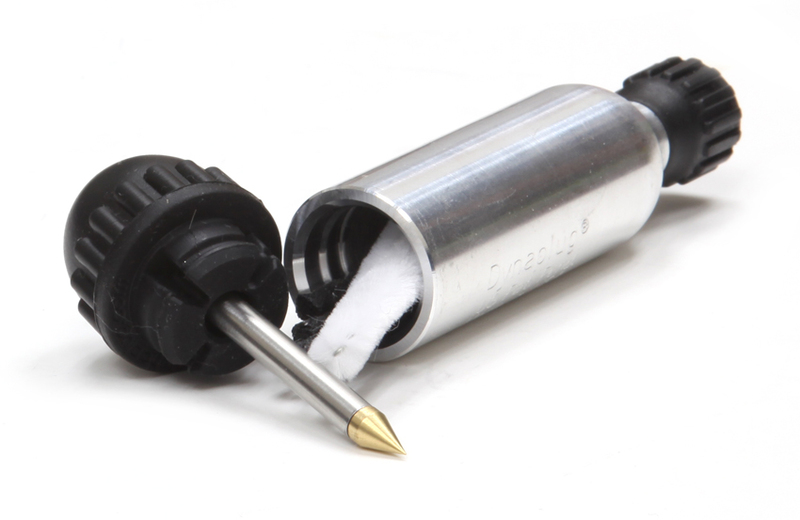 No need for “reamers,” messy glues or solvents.